Noor ur Rehman experiences walking in Lahore. I have lived the most intense years of my life in Lahore and, that too without any family near me. As a result, the city has become an embodiment of confused emotions and even more confused impressions. When I voice them, any other inhabitant of the city thinks I exaggerate my experiences of city life, but I do not. I didn’t just live in this city; I allowed for the city to flow throw me – much as Ravi has flown through it – and find an affinity within me. Being from a village where nature tends to dominate, the first sight of Lahore provoked me. I rebelled against its cruel influence, its purring nights, its suffocating summers, and flooding monsoons. Now I have reconciled with it somewhat. Its gross imperfections embodied in reckless infrastructure, violent rush hours, deafening noise, social and economic disparities, trembling and falling beggars and junkies, lead me on a trail of discovery. Its secrets lay out in the open but are barely picked up on by most. Across the past few years, I have walked on its rugged chest, on different paths and places and still do. The dark magic of walking on its streets and observing the chaotic life throbbing in its metallic and cemented limbs does not diminish over time. It improves, much like feminine beauty, which only passing years alone can perfect. I confess that my relation to this city and its life is not reasonable or as matter-of-fact as it should be. Let me start with my earliest walking ventures in Lahore. Close to the Maal near Hafiz Juice Corner, there is an ancillary road, which is lined with a number of jewellery shops on one side and trees on the other. My vocation as an enthusiastic streetwalker, if I may dare call it so, commenced on this un-romantic and rather dull road, which would arouse looks of displeasure, depending on the day, repulsion, if visited at daytime. However, at night, after 12 AM the traffic on the nearby Mall Road decreases and the noise reduces. The area becomes a fine path for walking in the foggy nights of winter. Sometimes, I wonder how much could happen on a road, a small and colourless road, in one lifetime. From walking here on burning nights of summer to 3 AM promenades incurred by insomnia; from writing poems about solitude and butterflies to anguished hours when I tried to choke certain feelings; from ecstatic running to and fro between the opposite ends of the road in rain to walks with friends and discussing everything profound and vulgar as if the destiny of the world dependent on our verbal gymnastics, and much more. Everything has happened on this road, this road that doesn’t even have a name. Sometimes, I consider this place my diploma for walking as it has taught me how to see and hear on the street without closing myself to the world outside. Close to Anarkali, there is another road, where I have walked for years. It doesn’t have many street lights and becomes barren quite early in the evening. A friend of mine, who exhibits a special preoccupation with mysterious things, once showed me how this particular dark road stretches at night longer than it appears at day. I laughed off his claims with hard-core reason only to find out later that, at night, covered in darkness, the road lengthens in a peculiar way, much like the placebo effect. When I walk on this road alone at night, I hold my breath as it seems to have sprung from one of those Edgar Allen Poe stories. I expect supernatural creatures to stop me although I would be the last person in any group to believe in any possibility of spirits and demons. But the tall trees and their branches hang down like the locks of witches’ hair. Once, when I was walking there at night after 3 AM, a police car stopped beside me. The officer inquired about my purpose for being out this late and demanded identification papers. I had none of them on me. He ordered me to get in the vehicle and carried me to the police station. There were several other fellows, whom they had picked here and there and a goat, which one of the men was holding on to, with a rope. Unbelievable! At the station, the officer asked me about my late-night wanderings and questioned me in a doubtful manner. I concocted an excuse that I was studying late at night and was walking to dispel sleep but he wasn’t satisfied with it. At last, I managed to convince him that I’d bring my documents in few moments from my hostel if he allowed me to. He asked me to go and bring my documents fast. I went straight to my room, looked out to see if somebody had followed me, closed the door behind myself, and slept for many hours. I stopped walking on that road consequently lest I might be apprehended again. After I commenced working for Charcoal + Gravel, my walking adventures broke themselves free from the confines of Anarkali, Mall Road and Jinnah Bagh to other places within the city. Although Lahore, with its erratic roads and fatal traffic (I mean it literally), does not offer walking as a luxury, there are still many places where walking is a sheer pleasure. Of course, you need to know the art of walking. Model town is one of the best places for walking in the daytime. Its central park has a wonderful track for joggers, with trees swaddling the yellowish-white path. Fortress Stadium is also a pleasant space for walking alone or in groups. Summer makes this place impossible, though, because of the absence of natural shade which could facilitate pedestrians and parked cars tenfold. Opposite to Alhamra, the Maal is surrounded by hundreds of green trees, which make walking along the pavement an exalting experience. I have noticed one thing across the last few years and it is that walking would become impossible very soon in the crowded areas of Lahore as Metro and Railway lines are spread everywhere. Besides, summer season happens to be foolishly hot, so that no desire spurs one to walk on the road. 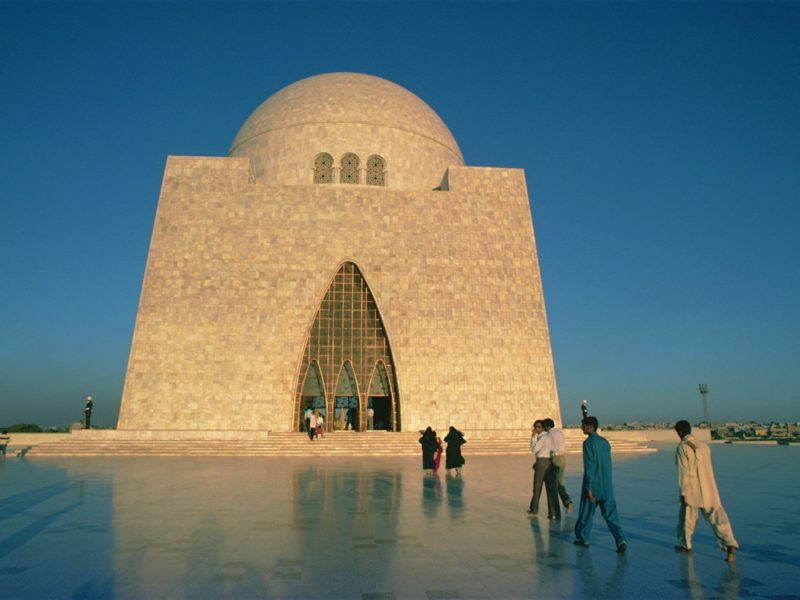 In Winter alone, walking in open spaces and visiting historical sites seem fantastic ideas. Just as there are great places to walk in, there are terrible spots too. 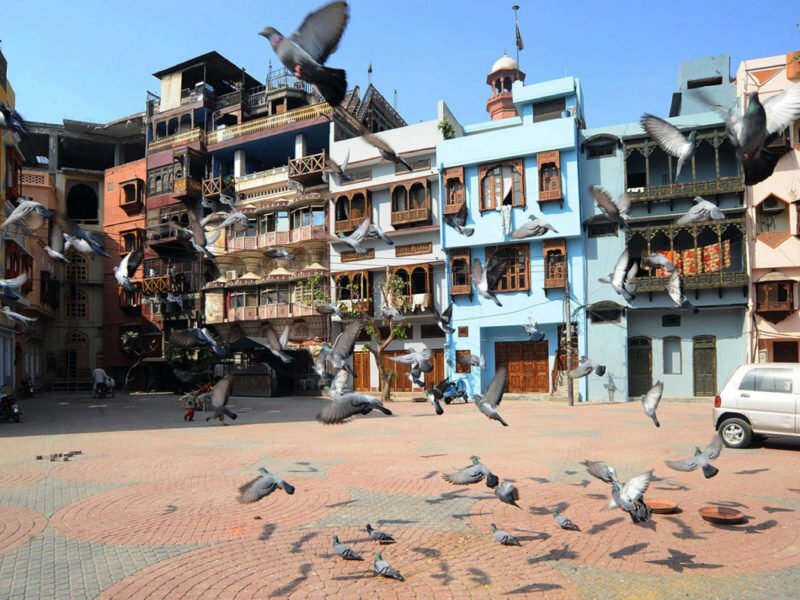 The vicinity surrounding the old Railway Station, New Anarkali bazaar in the afternoon and evening, the areas close to Ichra and Qurtaba chowk are too damningly overcrowded with buildings, vehicles, and people. Walking becomes impossible, least of all agreeable. Walking around Lahore drew my attention to urban planning in this metropolitan center, where millions of people live and propagate. Narrow roads, congested streets and traffic jams suggest every day that Lahore is not a smart city. Besides, new projects like the orange train not only been troubling ordinary citizens for the last one year but it has worsened the confused infrastructure of the city further. Traffic and sanitation systems remain problematic in this city like before. And that’s not it. Anyone walking on the road could observe for their self the gross inequality which prevails everywhere in this city. In addition to the economic deprivation, which revels within the city, the hazards caused to the environment, whether through the cutting of trees or polluting of river Ravi, are impossible to avoid any more. Although environment-related legal orders are issued now and then, no practical measures have been taken to stop the city from gradual decay. One becomes painfully aware of social and environmental troubles of this once-prospering place, when one visits peripheral areas like Anarkali, Youhanabad, River Ravi, and various Kacchi Abadis. 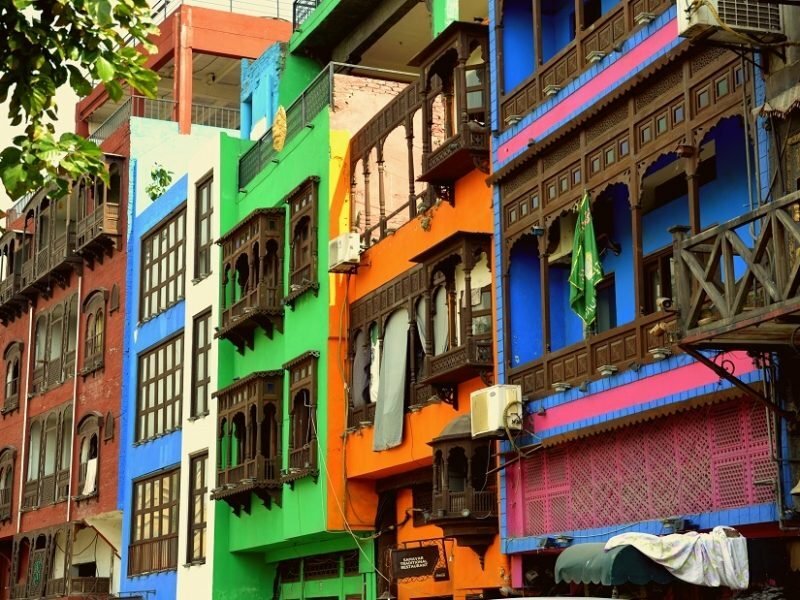 Overall, one could not deny the artistic glamour of Lahore, which permeates its historical sites, parks, and fancy cafes. But there are other aspects within the same medley, which narrates a heartbreaking social and economic reality of this city. Noor is a nerd with a shameless passion for literature. After studying a good deal of psychoanalysis and philosophy, his search for identity and soul disappeared into dust. Because of his utter lack of and aversion to convictions, Noor's close friends call him an ‘Alienated Postmodernist’. He deems writing synonymous to breathing.